newsR > News Videos > Kawhi Leonard BOOED & Called TRAITOR in San Antonio! His MOM Came To His Defense FIGHTING With Fans! 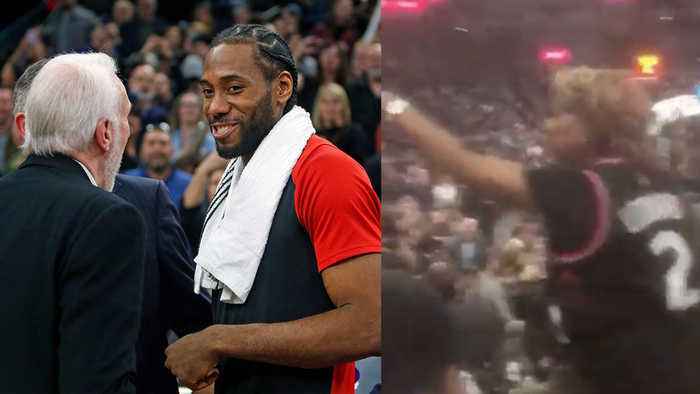 Kawhi Leonard BOOED & Called TRAITOR in San Antonio! His MOM Came To His Defense FIGHTING With Fans! Thursday night the former nba finals mvp for the Spurs Kawhi Leonard made his debut back in San Antonio since he was traded during the offseason along with teammate Danny Green to toronto in exchange for DeMar DeRozan. And San Antonio showed Kawhi just exactly how they felt about him leaving. Do you think calling him a traitor was too much?